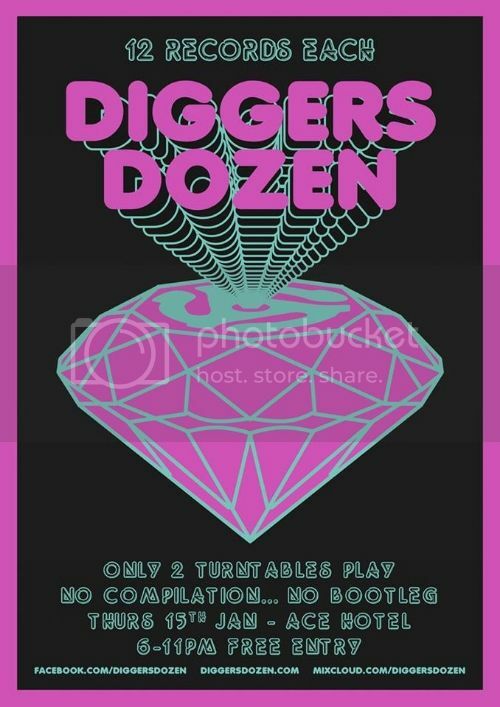 If beats galore is what you’re looking for then get down to Diggers Dozen this Thursday (15/01). Me and my partner in beats Johnny Dett will be there, spinning alongside Tommy Koi (Music Exchange/Beyond There), Matco (Wax Poetics), Adz Mandala (NTS/Full House) and D.D. organizer Maxwell. 12 records a piece, all original vinyl! For my set I’ll be serving up 12 slices of funky beats from New Zealand, picked up on my various digs out there.